The Limelight follows the ?keep it simple? 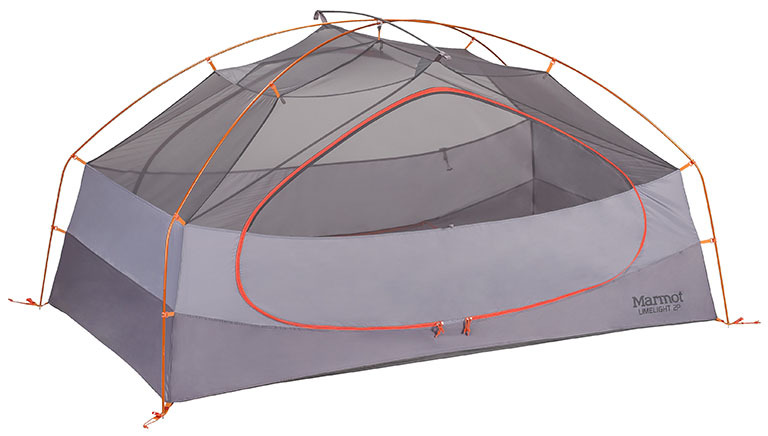 principle for quick set-up and weight-minimization while still camping in style. A roomy zone construction increases livable space, while a super-sized double door and rear D-shaped door lead to two side vestibules to store and keep all your gear dry in wet weather. Tent Max Weight 5lbs 10oz (2550g) NOTE: Due to this item's size/ weight, there will be extra fees if you select a faster shipping method than UPS Ground in which we we will contact you before shipping your item(s) with a shipping cost quote.